Rent The Gables at Chadds Ford | Corporate Events | Wedding Locations, Event Spaces and Party Venues. The Gables at Chadds Ford is situated on land that was originally part of a 138 acre land grant from William Penn to Brinton King. Around 1745, a pre-Revolutionary style house was built on the property. This was one of the first homes to be built in Pennsbury Township. For the next 100 plus years, the property operated as a working farm and quietly became part of the Brandywine Valley’s history. The route along Route One is well known to have housed numerous stops for the Underground Railroad during the Civil War. It has been suspected that the King house may have been one of these stops. The house was renovated in the late 1800s by George C. King, son of Brinton King. He adopted the popular Victorian style by adding wrap around porches and twenty three gables. Our banquet room is on the second floor and features a private entrance, deck, bar and restrooms. The room is accentuated by the raised gabled ceiling, exposed timber frame and wall of French windows. Our brand new “wedding terrace” is a breathtaking backdrop for wedding ceremonies and offers a picturesque setting for any occasion. Along with the beauty of the venue, our professional staff will make your event an unforgettable one. 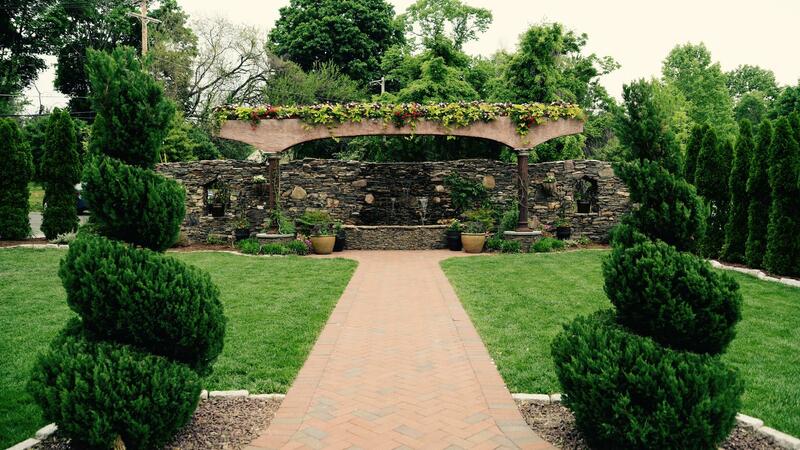 The Gables at Chadds Ford is the perfect location to host your special event. Our private room can hold comfortably anywhere from 20 guests all the way up to 160 guests. Feel free to decorate as you would like for your event or give us your ideas and we can decorate for you. We recently built a beautiful terrace to hold ceremonies and outdoor festivities to enjoy the warmer weather months.